Fort Wayne, IN, January, 2014 — We're honored and humbled when we get great news like this from respected consumer resources like Angie's List — especially for the 2nd year in a row. Thanks for your continued support! Think “green” remodeling and you have become one of the overwhelming numbers of consumers who are following the popular trends in creating environmental friendliness with products and practices. For a PDF version of the complete article, click here. When it comes to houses, what’s the greenest thing you can do? Live in an existing home rather than build a new one, says Sam Eagleson, co-owner of Evergreen Remodeling in Fort Wayne. That’s because an existing home has a lot of what’s known as embodied energy. That’s the energy that was consumed by all of the processes associated with the production of a building, from clearing land to creating infrastructure, acquiring natural resources through mining or logging, manufacturing building supplies and appliances, and delivering products to market. This article is no longer available from the Journal Gazette. Fort Wayne, IN, March 12, 2009 — Sam Eagleson, owner and president of Evergreen Remodeling, Inc., a licensed, Fort Wayne-based residential and commercial remodeling firm, has earned the CERTIFIED GREEN PROFESSIONAL (CGP) designation from the National Association of Home Builders (NAHB) as part of the organization’s National Green Building Program. 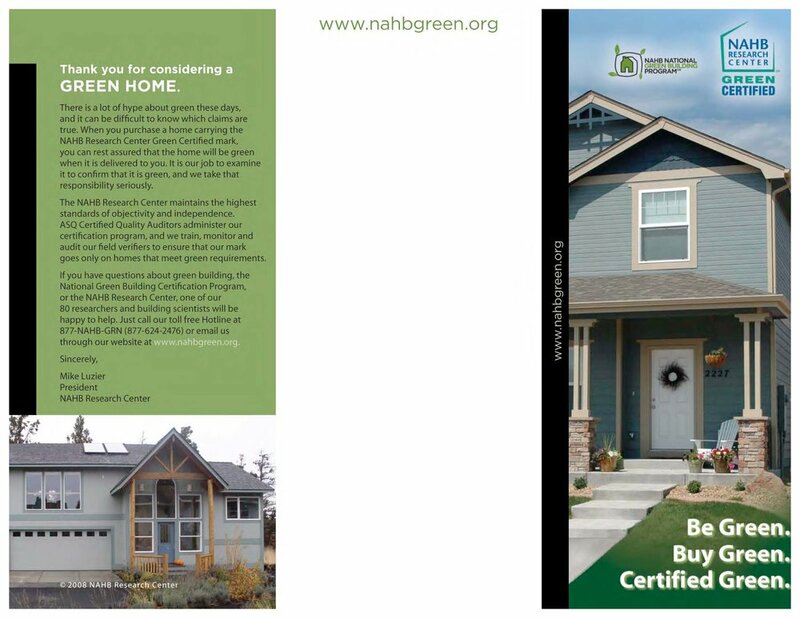 The initiative is designed to help NAHB members develop and promote sustainable, environmentally friendly building and remodeling practices through intensive training and continuing education.